The annual competition, now in its 17th year, seeks out those aspiring chefs and encourages them to cook with seafood. 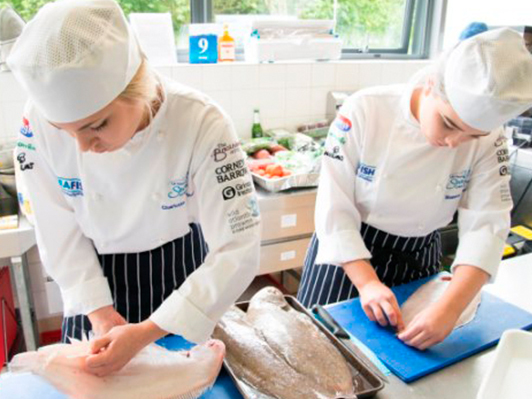 The young chefs, all under the age of 25, will be competing in one of three regional heats to be held at City College, Norwich (10th May), Sunderland College (17th May), and Coleg Llandrillo Cymru, North Wales (24th May). They will work in teams of two to produce a three course seafood menu using sustainably sourced seafood.